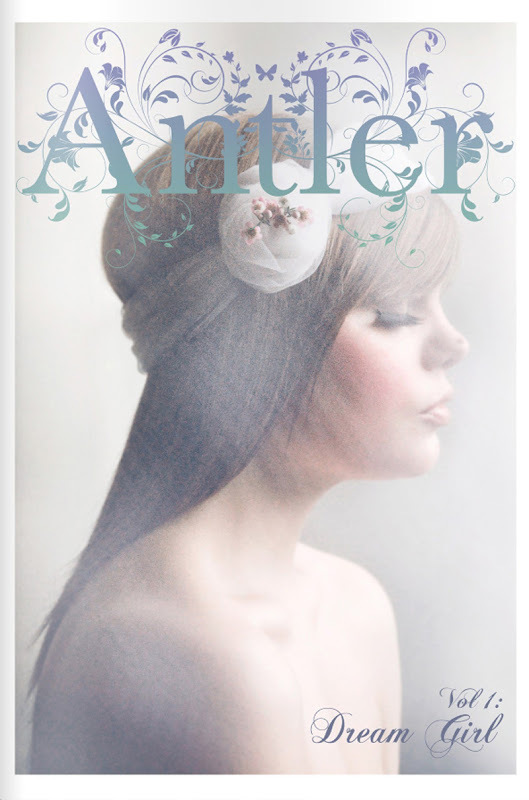 Imagine waking up to find this in my inbox: Antler magazine, "Volume 1: Dream Girl". It's a gorgeous, down-to-earth magazine, featuring a large variety of interviews with bloggers, designers and artists of all kind. You've got to love it if only for the good graphics, inspiring drawings featured, good editorials and the dreamy air to it. These are just a few screenshots I decided to share and hope they will make you too go and browse it online. It's a bi-monthly magazine of great quality which from now on can be read online for free. As one who would very much like to have her own magazine one day (or at least become editor-in-chief at an already established one, ehehe) I loved to read the story behind the founding of Antler. This is how things should happen, planets all aligned and such, no? Ok, on another note, stick around here closely because I have little somethings lined up for the near future! Uh-oh. Keep up to date with everything by following me on Twitter.